Here are 10 things only online shoppers will understand. As online shoppers, shipping and delivery can be expensive. If there’s free worldwide shipping, we’d take it FOR SURE. 2. When there are flash sales, you behave like this. Because it means money saved! And so much convenience considering you are just clicking and scrolling. You don’t even have to leave your house for a single second. 3. When the clothes you buy online fit you perfectly. Sometimes measurements don’t match up and sizes don’t fit, or the model’s estimate didn’t actually serve you too well. You were skeptical about the piece you bought and you were prepared to return it…….. Then, you slipped it on and it fit you perfectly! 4. When your friends say they can’t find a particular product online, or something they need for a special occasion just doesn’t exist in any online shop. You know they are wrong. Whether it’s for a special dinner that calls for a new, dazzling dress, a dinner party that suddenly expands and needs extra food, everything can be found online! www.diapercakes.sg is your go-to source! Never be at a loss for your colleague/relative/friend/neighbour/classmate/ex-classmate’s baby celebration again, we’ve got you covered. This 2 tier diaper cake means twice the celebration, for all the convenience. This is not ALL we have, head on to our website for more variety! 5. When you click “Submit Your Order” only to find it is out of stock. Online shoppers hate this. We went through so much – loading the webpage, scrolling through page after page to find that one beautiful item, measuring and debating with yourself to see if this is an item that really suits you perfectly…… Finally coming to a conclusion to buy it….. And then it’s out of stock. Why?!? 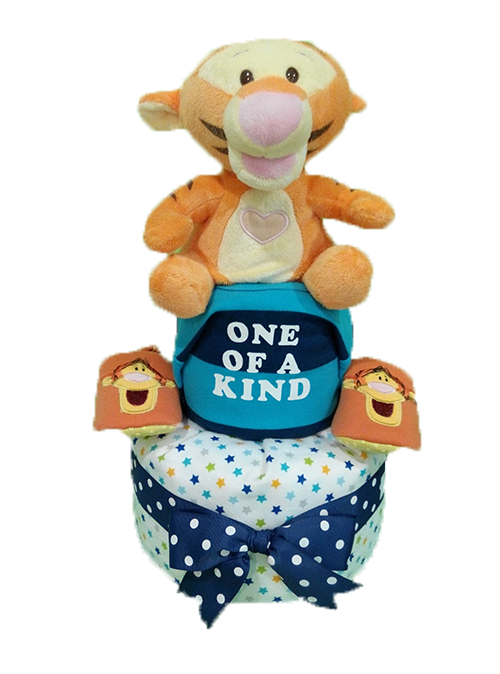 At DiaperCakes, our range of Diaper Cakes are aplenty, meaning for whatever occasion and for whatever cartoon character the receiver may like, the cakes we have on hand will not disappoint. With 1 tier, 2 tier and even 3 tier cakes, who’s to say you will walk away with nothing? 6. When you look for customer reviews on a product and encounter only some of the craziest people you’ve ever seen. Diaper Cakes are cute little cakes that resemble wedding cakes, except it is fashioned out of rompers, baby shoes, baby bibs, soft toys and other baby essentials. Our Facebook page has many customer testimonials on why they love Diaper Cakes. If you need more information, drop us a message and we will get back to you quicker than you can check out. Diaper Cakes are seriously cute, no wonder they are a hit at baby showers and first month celebrations! And with online shopping nowadays, the cake you want is just a click away. How Long Would Women Stay At The Hospital After Birth? To prevent that number from dipping too far down in the US, Congress passed the Newborns’ and Mothers’ Health Protection Act in 1996, requiring insurers to cover at least 48 hours of hospital stay for complication-free vaginal deliveries and 96 hours for c-sections. On a global scale, the World Health Organization recommends women remain hospitalized for 24 hours after a vaginal birth. In Singapore, we have plenty of options as to how one wants to give birth – in a private or a public hospital, and the hospital stay normally varies from a night to two nights. There has been a study conducted to talk more about how long do women stay at the hospital after birth. Might not be the most interesting to read, but definitely something fun to know! Cesarean-section mode of delivery was independently and consistently associated with longer lengths of stay, and had the largest effect size. Deliveries with other need-related factors (twins or triplets, lower birthweight, or an index child who died before or on the discharge day) were independently and consistently associated with longer lengths of stay. Deliveries where infants died after discharge were associated with shorter average stays and more stays that were too short in the crude means and proportions, but the pattern reversed, such that death after discharge was associated with longer stays (although not always statistically significantly), once country was adjusted for. This reversal of the direction of association was because, on average, countries with higher infant mortality—and hence higher post-discharge mortality—had shorter lengths of stay. There’s a picture of the world map with regions documenting the length of hospital stays. Additionally, women whose newborns were wanted stayed longer (and were less likely to stay too short) than those whose pregnancies were mistimed or unwanted. So as new mothers, women don’t typically spend a lot of time in the hospital after birth. But they do spend a lot of time learning a lot of things while they’re newly hospitalised, like how to breastfeed, how to manage their baby and how to take care of their baby in the first few months. And as a good friend/fellow parent, you’re all about making his/her life better, right? So we’ll tell you the perfect gift – A Diapercake! So… “How long would women stay at the hospital after birth…. ?” It wouldn’t matter so much because they’re made extra comfortable with your loving thoughts and gifts. A tight, warm swaddling blanket, comfortable romper and a matching pair of shoes…. they’re light, presentable, beautiful and welcome for any baby shower, and of course, the birth of a new loved one. We hope we didn’t open with a stink. To discover the baby gift out of all baby gifts, keep reading. When you’re a parent for the first time, it’s natural to get worried and anxious about the littlest of things, because you have had no prior experience with child rearing whatsoever. The last time you were a baby was 20-30 years ago, and at gatherings with babies, you’ve rarely had to deal with the stinky parts of taking care of babies – like a smelly diaper or likewise. Baby poop can constitute almost all the colours of a rainbow, some of which can be worrying. With all that poop, what else goes along with it? Disposable diapers cost about $62.50 per month, $750 per year, or $1,500 over the full time a child is in diapers. For these calculations, let’s assumed that a family needs about 60 diapers a week. That number will be higher for newborns and lower for toddlers. The best-selling disposable diapers on the two top-selling websites for disposable diapers cost from $.17 to $.31 each. This averages to $.24 per diaper. Disposable diapers will cost about $1,500 for the average child for two years in disposable diapers, or about $62.50 a month. Being new parents can surely be tough on the wallet, so you know you’re a good friend or family member if when you were invited to their baby shower, or even as a simple act of goodwill, out of all the baby gifts to give, you thought of a DIAPER CAKE. A Diaper Cake contains disposable diapers, baby shoes, a soft toy, a romper, a bib, a blanket and a pair of socks. One of the better and more practical baby gifts you could hope to give. Lovingly assembled and quickly delivered to you when you need it, never be at a loss and never worry about giving a bad gift at a baby shower ever again.